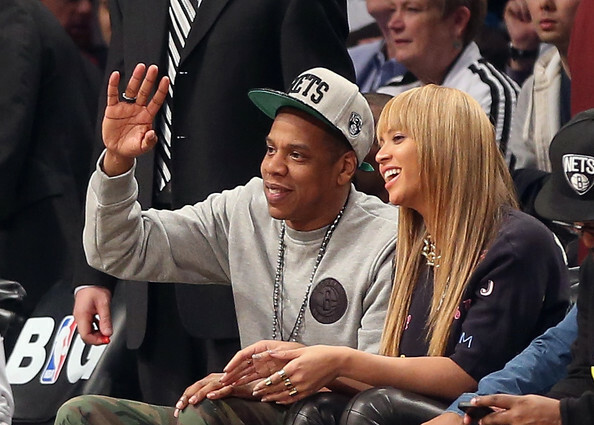 Jay Z and Beyonce attend the game between the Brooklyn Nets and the New York Knicks at the Barclays Center on November 26, 2012 in the Brooklyn borough of New York City. NOTE TO USER: User expressly acknowledges and agrees that, by downloading and/or using this photograph, user is consenting to the terms and conditions of the Getty Images License Agreement. The Nets defeated the Knicks 96-89. Beyonce went for a more sleek and straight 'do with a blunt bang and flat ironed coif.